If you are going to be writing your Maths N3 this is the best place for you to get resources as you prepare for your final exams. Mathematics N3 is written three times in a year which is March/April exams, July/August exams and November exams. Though the Maths N3 is quite interesting most students struggle to pass the final exams hence the creation of this page to help you master the subject. Immense your self in these sample work provided and you will benefit a lot and prepare for your final exam. 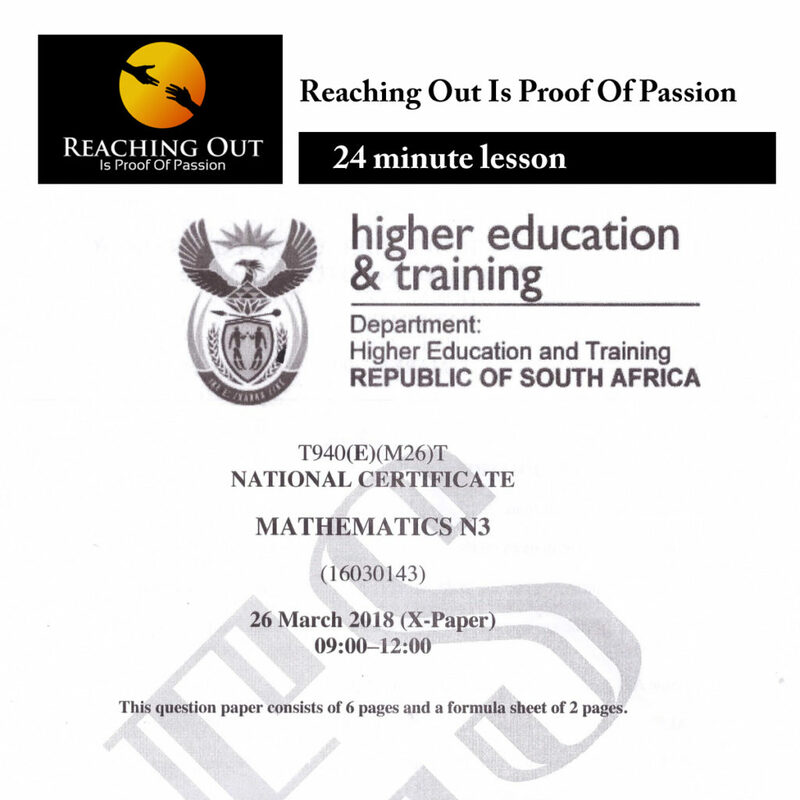 Mathematics N3 question papers are a great way to practice with as you are preparing yourself for your exams. Mathematics Exam papers gives you an opportunity to know the examiner’ mind and what to expect in the exam. Most of the Mathematics exams follow a particular pattern and after practicing with different question papers you will be more than confident and ready to face your own exam. So how do you get hold of the Mathematics Past Question papers? You can purchase these from our college at a very reasonable price which does not include courier (shipping). We have the booklet that is comprised of question papers and memorandum (answers) for different exams. To get hold of the book you need to send us an email on info@ekurhulenitech.co.za and we will gladly help you. Or alternatively you can call us on 011 040 7343. The price of the Mathematics Past exam booklet is R400. Alternatively you can request for a PDF DOWNLOAD of the same booklet at a price of R300. This is the easiest and quickest way we advise for you to choose. The papers will always be available to you for as long as you want to keep them. Please note that the booklet is a collection of exam that we compiled since 2014 to 2016 and the booklet consist of six (6) different question between the years. Also please note that the memos are from the Department of Higher Education. We also can supply you as an extra our internal memos for the current year papers from 2017 to 2018 however errors may be present in these as they have not yet been moderated. If you are interested in improving your Maths score you will consider registering with us or getting a hold of the previous questipn paper and memorandum booklet. The booklet is sold for R300. Best Way To Complete Your Matric In 2019! Learn how to obtain your matric certificate in 2019 through Technical Matric N3. Quicker, easier, cheaper and study from home. Get your FREE PDF download Now! Give your best email. Your Privacy Is 100% Assured. Your Details Will Never Be Shared With Anyone!